It's easy to scoff at the idea of smart appliances when you're faced with an onslaught of everyday devices with bewilderingly superflous Internet-y capabilities crammed in for little other reason than to pad the feature list. It doesn't have to be that way though. Take the Canary, for instance, a smart smoke alarm. It's quite possibly one of the smartest smart appliances out there. Like any smart appliance, the Canary has some theoretically neat auxiliary features. 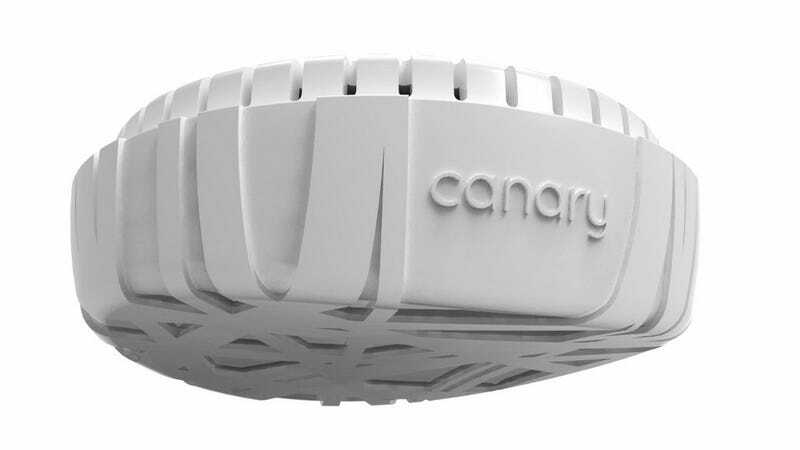 In addition to detecting smoke and carbon monoxide, the Canary also keeps tabs on air quality including dust, pollen, mold and sends that all to the cloud. Someday, if everybody got these, they could work together to map the air quality of entire cities with real, live data. And all the information Canaries gather is anonymized and publicly accessible for anyone who wants to use it. Neat! But that's not what makes it really great. The Canary's dream feature is that when it goes off, you can tell it "false alarm; shut up" from an app on your phone and get right back to dealing with that burnt dinner without popping out any batteries. And speaking of batteries, when the Canary's get low, it'll warn you on your phone, instead of chirping incessantly for eons like some robo-chick from hell. It's all fine and dandy for a smart appliance to solve a problem that only some people have, or that only some people could maybe have someday, but those kind of extras are just that: extras. The Canary still has those, but it also uses technology to deftly solve a small but incredibly frustrating problem virtually everyone has, and does it more elegantly than it could without that "smartness."